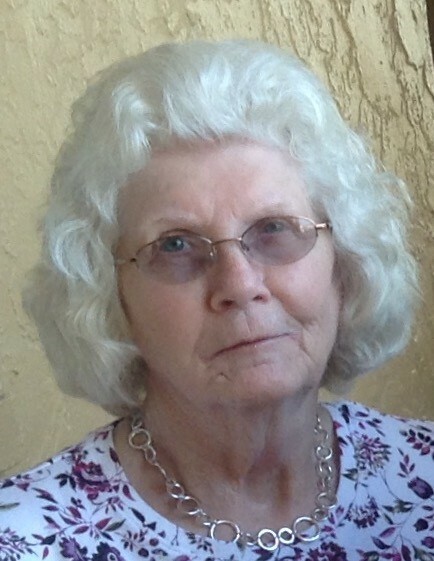 Mrs. Callie Louray Faircloth Starling, 83 of Roseboro, passed away Sunday, January 20, 2019 at her home. The funeral service will be held at 2:00pm Wednesday, January 23, at Mount Carmel Church of God of Prophecy, 1655 Mt. Carmel Church Road, Autryville, with Bishop Warren Barfield, Sr. and Reverend Bill Cotton officiating. Burial will follow at Zoar Pentecostal Free Will Baptist Church Cemetery, Salemburg. She was born September 1, 1935 in Sampson County and was a homemaker. She was preceded in death by her parents, Ralph Buxton and Mollie Lee Autry Faircloth; her husband, J.D. Starling, Sr.; two brothers, Ollen Faircloth, and Louis Faircloth; and two sisters, Elizabeth Knowles, and Martha Ezzell. She is survived by one son, Steven “Stevie” Earl Hairr (wife, Margaret) of Clinton; five daughters, Cindy H. Owens (husband, Billy) of Salemburg, Hellen June Hairr of Stedman, Callie Hairr Crumpler (husband, Eugene) of Clinton, Debbie H. Gainey (husband, Ray) of Autryville, and Windy Fassula (husband, Tom) of Lutz, FL; one step-son, John Dennis Starling, Jr. of Fayetteville; three sisters, Eleanor Cannady of Newton Grove, Shirley Carter of Roseboro, and Beatrice Holland of Clinton; one brother, Ralph Burl Faircloth of Roseboro; twelve grandchildren, fifteen great grandchildren, and five great-great grandchildren. The family will receive friends from 6:00 to 8:00pm Tuesday evening at Butler Funeral Home, 401 W. Roseboro Street, Roseboro, and other times at her home.